7 am to 7 pm . 7 days a week. Orders can not be placed on Sunday. 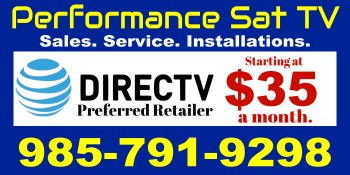 HD Sat TV for your RV or Hunting/Fishing Camp. 155 HD channels starting at $35 a month for the whole first year. Call and make your appointment today.